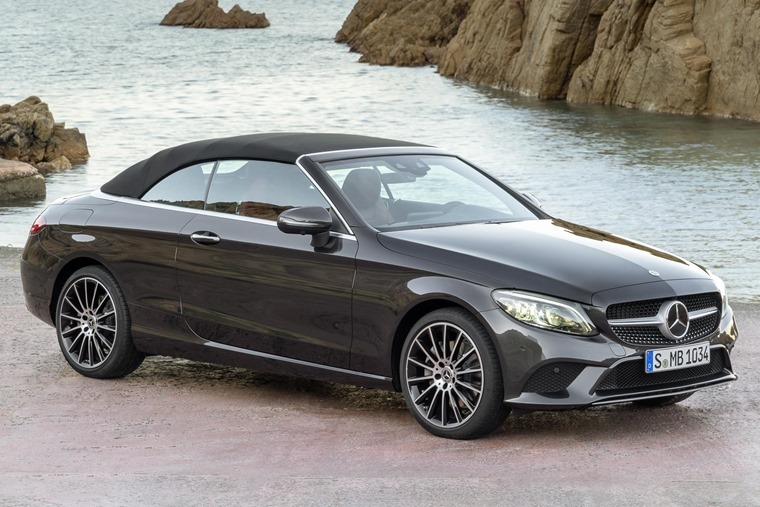 Mercedes has given its C-Class Coupe and Cabriolet a facelift, following the reveal of the an updated saloon and estate at the Geneva Motor Show. Order books are set to open next month with first deliveries due in July. 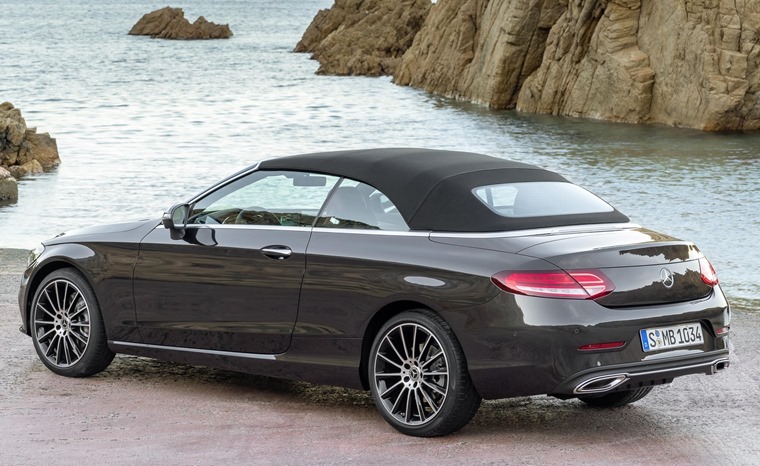 On the outside, the Coupe and Cabriolet benefit from the same subtle tweaks as their saloon sibling – the front and rear bumpers have been redesigned and there’s some new alloy wheels and colours to choose from. The pair get a more sporting grille than the saloon and estate, too. Trim levels have been streamlined, with Mercedes dropping Sport due to most consumers plumping for the slightly plusher AMG-Line model. Internal updates are more comprehensive than on the outside, courtesy of some new trim and upholstery options, a redesigned multi-function steering wheel with touch-control pads, and a keyless entry and go function that’s now standard across the range. While entry-level models feature a traditional instrument binnacle with a 5.5in colour screen between the dials, Mercedes’ latest digital instrument panel is available as an option, with a 12.3in diagonal screen replacing the dials. The display has three modes – Classic, Sport and Progressive. The centrally mounted infotainment system is available in two sizes – a 7in or 10in touchscreen is fitted depending on spec. The system is now controlled via a touchpad mounted in the centre console, and by the touch-sensitive pads on the steering wheel. From launch, two engines are available – a 1.5-litre C200 petrol engine that produces 181bhp, and a 191bhp 2.0-litre C220d diesel. The latter gets around 20bhp more than its outgoing equivalent. The petrol engine is available with two- or four-wheel drive, and comes with Mercedes’s mild-hybrid EQ Boost system as standard. This is designed to reduce fuel consumption and emissions while the car is coasting, but also minimises turbo lag by providing a 15bhp boost at lower revs. 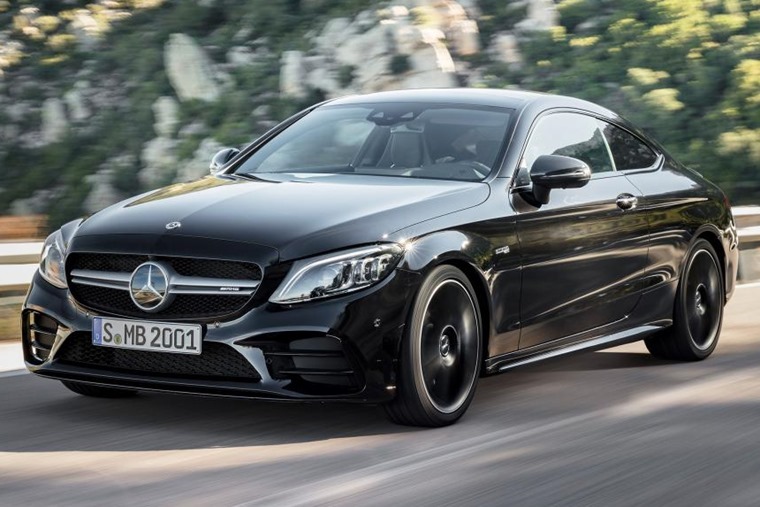 More engines will join the range after the car has launched, although a high-performance AMG-C63 has already been revealed. You can read about that here. Dynamic Body Control suspension is now standard across the range, which makes for a more configurable driving experience depending on the driver’s own preferences. Safety has been enhanced too, with Mercedes Active Distance Control now capable of reacting to other road users better than ever before. List prices will be revealed next month, although you can expect entry-level Coupes to cost between £33,000 and £35,000. 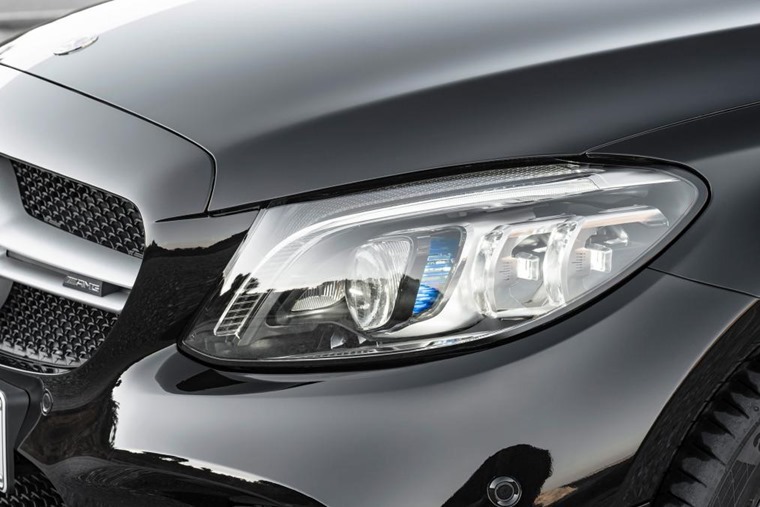 We’ll bring you leasing rates as soon as they’re available, but if you can’t wait until July you can find deals on the current C-Class by clicking here.